Mix the pork, shrimp and all of the flavouring ingredients together in a large bowl. Using chopsticks, stir in one direction until the filling starts to get sticky. Chill throughout. Cover the won ton wrappers with a damp towel. To wrap the siu mai, make a ring with your fingers by touching the tip of your left index finger to the tip of your thumb (if you’re right handed). Place the centre of a wrapper over the hole and push down on it into the hole so that the wonton wrapper looks like a small basket. Put 1 tablespoon of the filling in the center of the basket. Gently squeeze the opposing sides of the dumpling with your fingers to make a square like shape. Then flatten the bottom by pressing it down on the countertop. The filling should be left exposed on the top. Pleat the excess wrapper and/or tuck in any edges. Add garnish (optional). Set up your steaming equipment and bring the water to a boil. I use a wok, a rack and a lightly oiled glass dish. (If using a bamboo steamer, line it with parchment paper cut to fit.) How to steam cook food instructions here. Place the dumplings on the glass dish 1/2 an inch apart and place the dish on the rack in the wok. Steam over boiling water on high heat for 12 to 15 minutes. When done, the pork will no longer be pink and it will be just cooked through. Do not overcook. Make sure to check the water level from time to time and add more as necessary so you don’t burn the wok when it’s dry. Serve immediately with hot sauce. 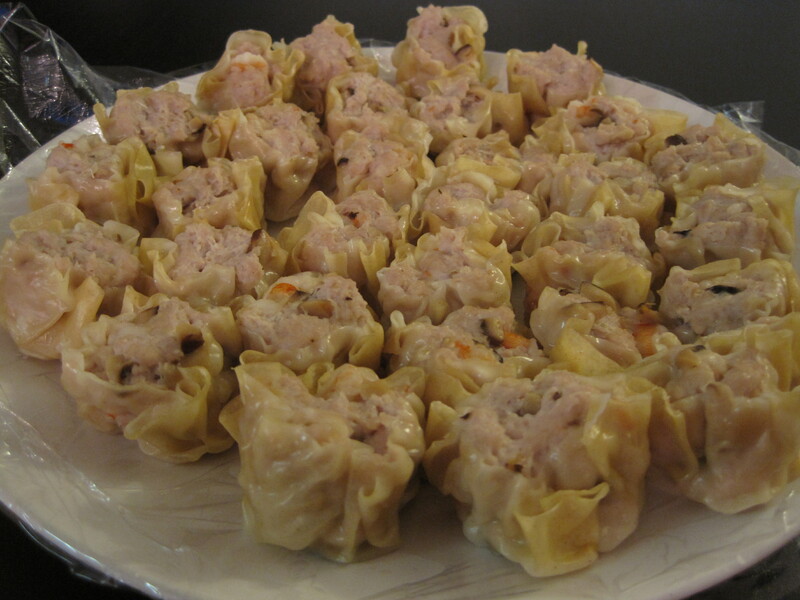 Once cooled, siu mai can be frozen individually before thrown into a bag together. To reheat, steam for 12 to 15 minutes directly from the freezer. 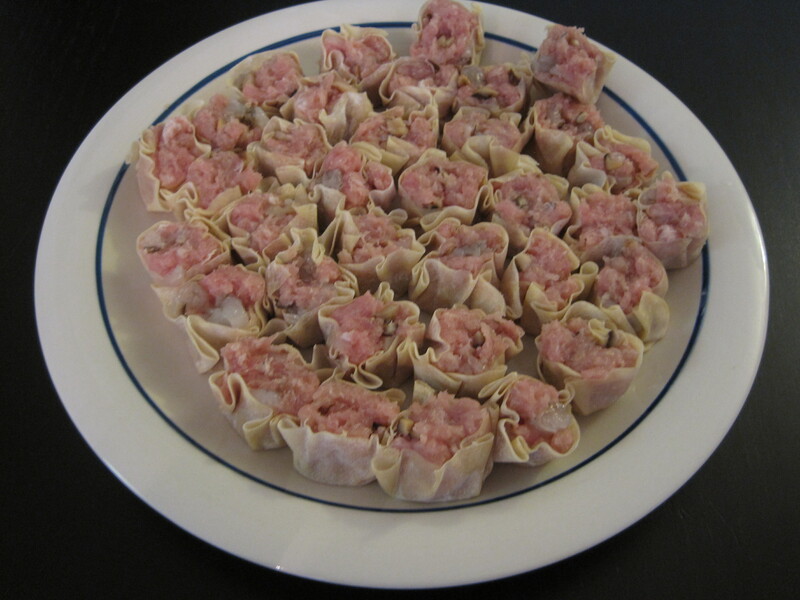 Who knew siu mai could be so easy! I am definitely trying this next time. It is Very easy and you don’t even need to use water to seal it 🙂 Let me know how it works for you! Hi! Thanks so much for your comment 🙂 Let me know how it works for you!